The A. Jaffe Collection is proudly showcased at Tara Fine Jewelry Company, home to the most beautiful and innovative jewelry styles by top designers from around the globe. This gorgeous A. Jaffe diamond eternity band is a full circle of round brilliant diamonds each accented with diamond tipped prongs. Uniquely designed and sparkling with diamond radiance, this A. Jaffe ring is available in 14K or 18K white or yellow gold, and even platinum. For current pricing come by Tara Fine Jewelry Company today and let a diamond consultant provide you with expertise and first-rate customer service! 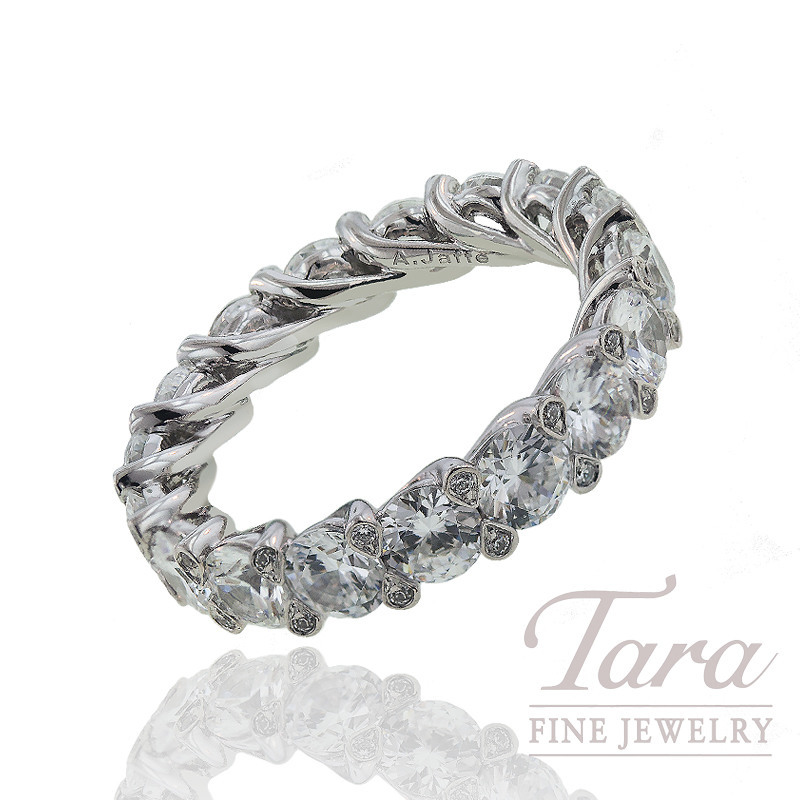 Serving the Atlanta area for over 28 years, Tara Fine Jewelry Company is located near the Mall of Georgia in Buford. A. Jaffe Diamond Wedding Band .90 CT TW.